The Middlesex Hospital Chapel could become a venue for music, dance and weddings under plans to be unveiled at an open day in March. 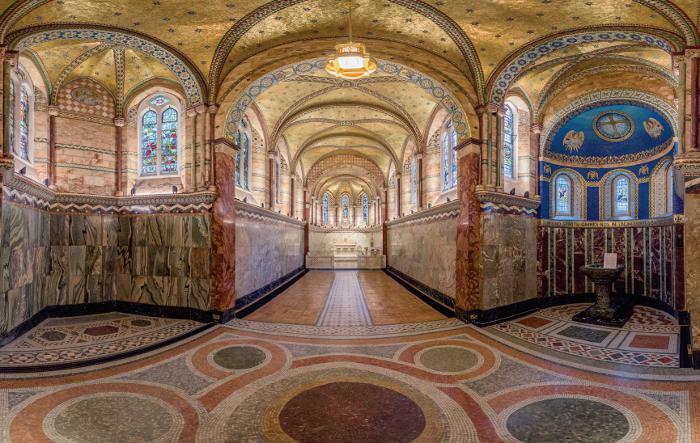 The Middlesex Hospital Chapel has been restored and will be used for quiet contemplation and events. Photo: Tareq Mooradun. Fitzrovia Chapel drop-in day: 11 am to 7pm Wednesday 2 March 2016. Visitors are invited to see the chapel and ask questions of the trustees. Fitzrovia Chapel, 2 Pearson Square, London W1T 3BF.